Sonoma County, CA, October 13, 2015 – Sonoma Wine Country Weekend, Sonoma County’s largest wine and food charitable event, and one of the top three U.S. charitable wine auctions, is pleased to announce a new partnership with Community Foundation Sonoma County. This collaboration leverages the Community Foundation’s non-profit charitable giving expertise with the vision and generosity of the Sonoma County wine industry and Sonoma Wine Country Weekend, which has raised $20 million to date for local charities. As the event continues to grow, the philanthropic impact will multiply and this collaboration ensures the fundraising has the greatest possible community impact. For the past 32 years, Community Foundation Sonoma County has helped donors fulfill their philanthropic dreams. Some of the most notable projects include facilitating the development of the Schulz Museum, Pepperwood Preserve, Oliver Ranch Foundation, Chop’s Teen Club and Scholarship Sonoma County (now 10,000 Degrees Sonoma County). Community Foundation Sonoma County is at the forefront of conversations to advance innovation in education to close the opportunity gap, implement upstream approaches that prevent, not just intervene, and improve the health outcomes for all Sonoma County residents. 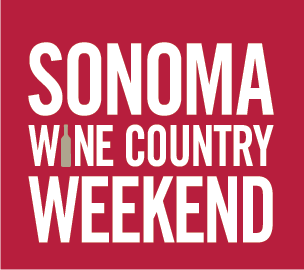 For more information on Sonoma Wine Country Weekend, please visit www.SonomaWineCountryWeekend.com. If you are a current grantee and need assistance, please reach out to Karin Demarest, Vice President for Programs at kdemarest@sonomacf.org. For future grantmaking, SWCW is in the process of reviewing all grants programs and there will be announcements of grant criteria and timelines later this year. All current grantees will be notified once this information is available.